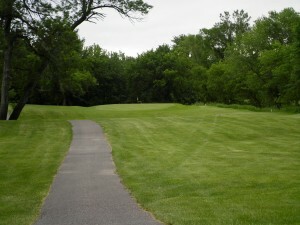 The Springfield Golf Course is a beautiful 9 hole track along the Cottonwood River on the south edge of Springfield Minnesota. Built in 1956, the course offers a fair but challenging golf experience with tight fairways and mid-sized greens that are sloped back to front. 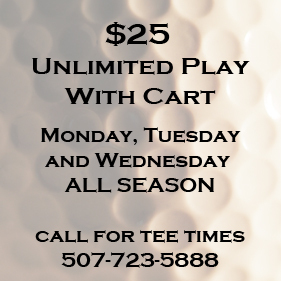 Golfers of all abilities will enjoy the beauty and challenge of this golf course. Come check out our course side patio! The Springfield Golf Course offers a full service bar with a patio overlooking the 9th green.Â Whether you just sit down to relax with your beverage of choice after a round, or decide to stay late, watch the sun go down and enjoy a bonfire, it is a great place visit with friends.Â Take advantage of our patio buckets and other drink specials every day! Stay tuned for updates on when we will be opening for 2017! Enter your e-mail address to get updated news and event information!